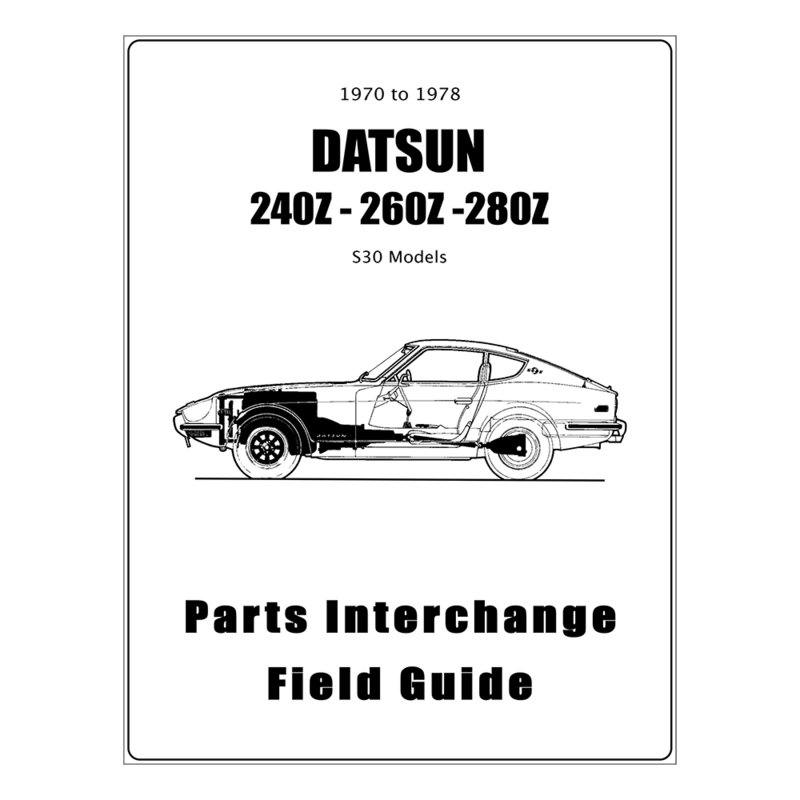 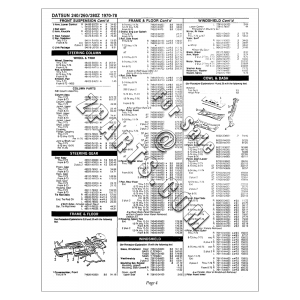 This S30 Model Parts Interchange Manual is a reproduction of a 1970s era parts interchange reference publication for body & repair shops…. 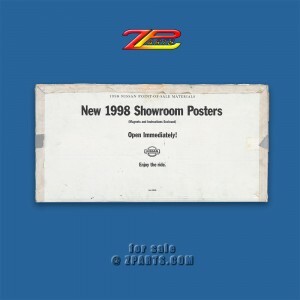 1998 Nissan Showroom Poster Set Never framed or displayed, brand new, NOS set of original 1998 Nissan Showroom Posters for the famous "Dreamcar Garage" TV and magazine AD campaign. 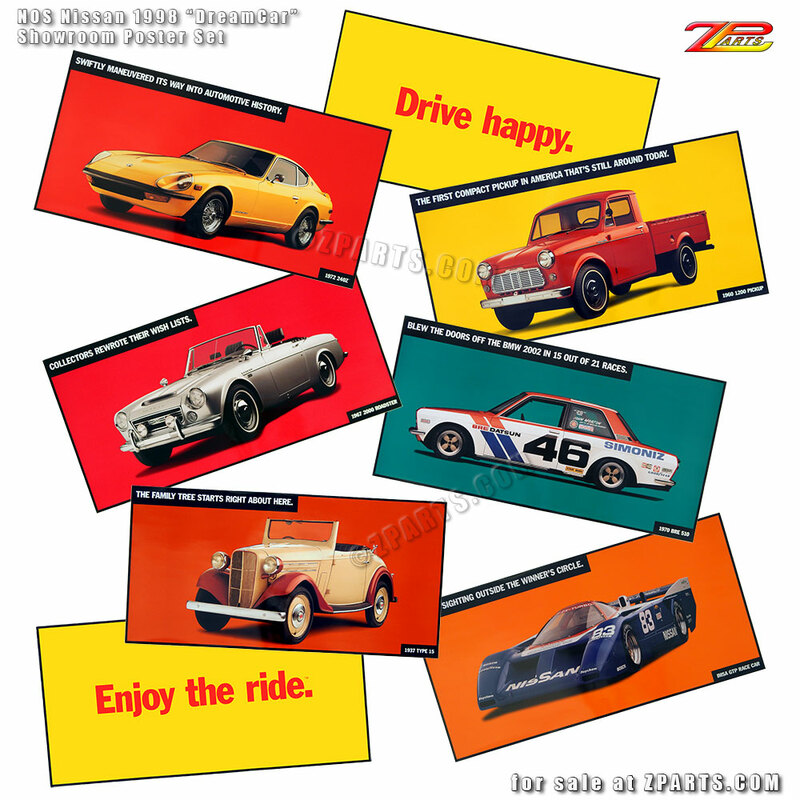 The set showcases some of the most iconic images of early Datsun models produced by Nissan from the earliest 1930s up to the well known yellow 1972 G-Nose 240Z, once the personal car of Mr. K. Set comes in original Nissan packaging, but does not include "magnets" referred to on the outside of poster packaging.